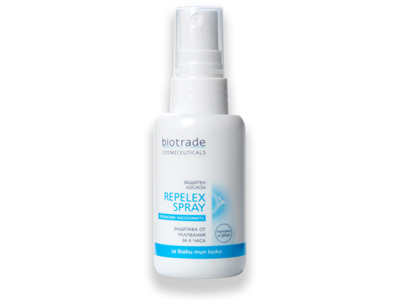 Description:Repelex is a spray that repels insects - mosquitoes, ticks, fleas. Its lasting effect ensures 6 hours protection against bites. Easy and convenient for applying. Usage:Before going out, spray lavishly the uncovered parts of the body. Do not apply directly on the face - use a cotton pad! Repelex can be applied on clothes and shoes without leaving stains! Do not apply over cuts and wounds! Suitable for children over 1 year of age! Active Ingredients: DEET - repel biting pests such as mosquitoes and ticks, including ticks that may carry Lyme disease.